SMS is not outdated as many of the newcomer digital marketers think of it. However, not all text marketing campaigns are not the same. Some marketers use it as a standalone marketing strategy whereas some others integrate it into their business marketing strategy. According to a survey conducted by a leading mobile market research agency, about 89% of the mobile phone users tend to access SMS messages even more than their e-mail inbox and social media feeds. If you are convinced about the advantages of SMS marketing and really want to be on board with this strategy, then here we will discuss some handy tips on leveraging its fullest potential and access success. Effective SMS marketing campaigns cannot be just simple text. As in case of any complicated digital marketing campaign, you need the assistance of skilled professionals in order to device the SMS marketing strategy. Based on the volume to handle and the nature of the marketing needs you have, one of the multiple people may need to take up these roles, typically like an SMS marketing campaign expert, retail market expert or coordinators for the location signage, creative designers, promotions specialists, social media experts, budget analyst etc. to work hand in hand. All these areas should be well coordinated. 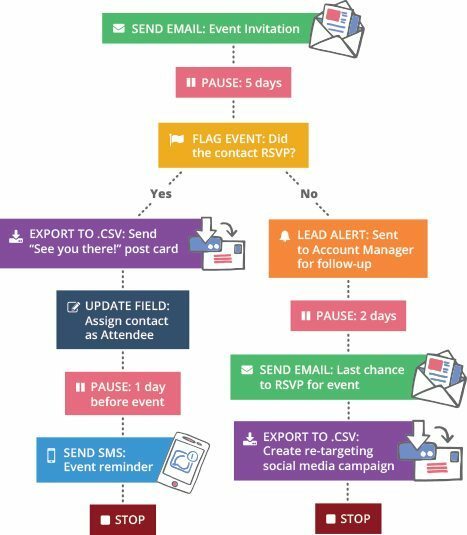 As the timeline for the SMS campaigns is more immediate, such a team needs to works in a very tight schedule with clear cut plans and quick execution strategies. Stronger your SMS team is, greater the returns you will get through it. You may use some CRM application to identify the success rate of your campaigns. A good CRM may help you to understand the customer behaviors better and also get details of their demographics with which you can send the right messages to the right customers. Say, for example, there is no point in sending your text with a coupon code for anti-wrinkle cream for a teenager in Boston when your store is in Houston. Also, try to segment your clients for some targeted promotions. However, when it comes to sending bulk general purpose mails, you can send it random receivers so that anyone anywhere can take advantage of your offerings. As you know, there is the only scope for 160 characters when you prepare an SMS marketing message to communicate your message. However, it is advisable to do it in lesser characters if you can. Ensure that you make your messages concise and clear in plan, easily understandable English. The Simpletexting.com experts also reiterate on avoiding any uncommon abbreviations, call caps, quotes, or unwanted emoticons. Also, don’t leave your messages open-ended. The open-ended message is something like you invite the users to a sale, but don’t disclose when the sale or offers end. With the client getting no idea about it whether it is for a day or a month, they tend to be so casual about it. However, if they find a specific expiration date for it, those who are interested will act instantly as you’ve given enough information on the incentive. As in the case of any marketing campaigns, the objective of SMS marketing too is to initiate some actions by the users in favor of you. When compared to a CTA mailer or a Facebook promo, it is noted that a greater number of recipients tend to open their text inbox. This makes it more possible for you to get engaged with the customers through SMS marketing text. This is the major objective of any marketing campaign, to get the viewer engaged by valuing the text you send, read it, and interact with the CTA in your favor. Show this SMS – You may ask the customers to show the SMS text to earn a discount on a particular product or service. Click here – With a longer message to share, you may not have enough space sometimes to show it all in an SMS. It may be sharing information about an event hosted by you or providing a link to a video you wanted to share. In those cases, you may start the SMS with a catchy tagline and then add a “click here” button with the link to detailed information. SMS contest – Text to win type of contests are alluring to the users to get engaged to win some prizes. So, asking your prospects to text a particular keyword in order to register for a contest will surely increase customer engagement. SMS polls – You can also engage the customers through mobile polls to identify how your products and services are performing in terms of quality, pricing, and other aspects. Buy it now – This is the ultimate call to action every market wants to win. If you know the routine buying pattern of a customer about a certain product, then you can set an auto text at the right time with a product promo and buy it now button which makes it easier for the user to finish the purchase. As we have seen, SMS has the flair of immediacy. Studies had shown that people take, on an average, only 3 minutes to open an SMS once after they receive it. The customer responses to promotions, sales, and events through SMS marketing are found to be more effective with last minute impulses. If you have a special event on Friday night, then it is ideal to send the message on Friday afternoon, which creates the feel or an urgency. If you are planning to provide an offer on family dinner to a customer, then send the SMS at the end of a workday and not in the morning. When planning SMS marketing campaigns, the best clients to choose are the ones who stayed loyal and buy from you consistently. You have to identify the right circle of loyal customers along with the influencers among them and dedicate more time and resources to engage them. No matter what business you own and who your target customers are, marketers can maximize their benefits from SMS campaigns by carefully crafting the messages after properly analyzing user demographics, with the assistance of an SMS marketing team. Google Plus Cover dimension has not only changed, one can use multiple gif components now. In fact this redesign in March 2013 a big change for Google Plus. Cite this article as: Abhishek Ghosh, "5 Tips to Fully Leverage the Reach of SMS Marketing for Businesses," in The Customize Windows, January 31, 2019, April 21, 2019, https://thecustomizewindows.com/2019/01/reach-of-sms-marketing-for-businesses/.